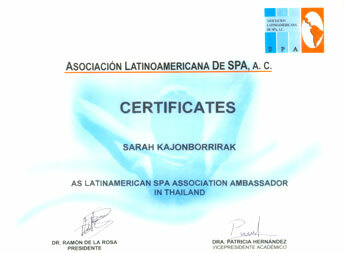 Sarah Kajonborrirak was appointed as the Latin American Spa Association Ambassador in Thailand on the occasion of Expo Spa in Mexico City in May 2006. Sarah is a well-known figure in the spa business in Mexico and has been invited to share her knowledge on the spa industry on several times. 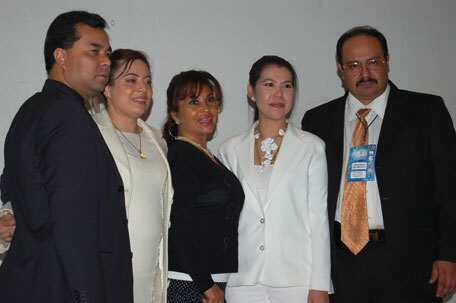 She received the certificate from the hands of the President of the Latin American Spa Association, Dr. Ramon de la Rosa, and her main duties as honorary Ambassador of the Latina American Spa Association is to promote and strengthen the links between the spa industries of Latin America and Thailand, and to promote the educational exchange in the field of massage and spa techniques. Sarah has been host to a delegation of the members of the Association in Bangkok in November 2006, and further activities have been planned in order to continue exchanging know-how and expertise to the Latin American spa industry. She has visited Mexico on several occasions and has been invited as guest speaker at both Expo Spa, where she taught a seminar on Spa Management, and Bolsa Mexicana de Inversion Turistica, organized on a yearly basis by FONATUR. 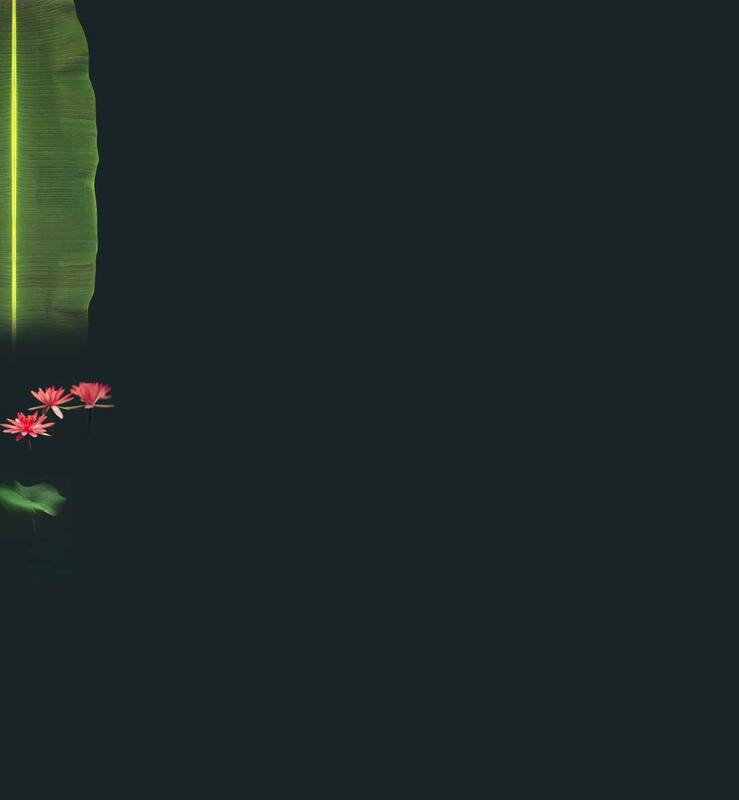 She has taken this opportunity to learn more about the Mexican spa industry and the country’s indigenous spa techniques.